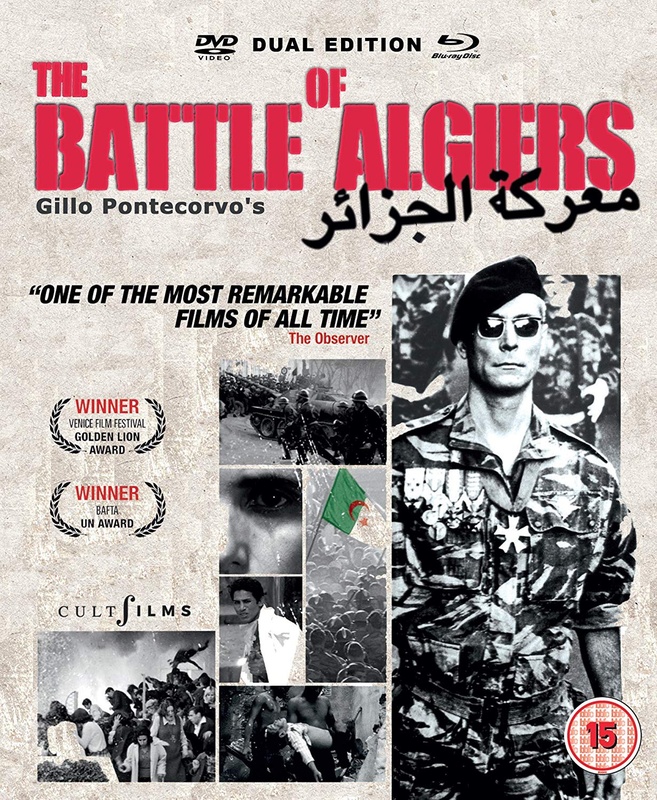 Winner of the Golden Lion at the 1966 Venice Film Festival and nominated for three Oscars® (Best Director/ Screenplay and Foreign Picture), The Battle of Algiers is a unique ground-breaking film revered by filmmakers such as Ken Loach, Chris Nolan, Spike Lee, Paul Greengrass et al. Summed up by The Observer as One of the most remarkable film of all time , it features Oscars® winner Ennio Morricone's most haunting score. It arrives as a stunning luxury collector s dual-format set full of fascinating special features and a booklet in December 2017. Shot in a gritty documentary style devised by Gillo Pontecorvo, with remarkable crowd scenes, it features the then pioneering use of amateur actors including real-life guerrilla fighter Saadi Yacef (who went on to coproduce the film) all adding to the film s realism. To date, the film is used by military organisations including the Pentagon to offer insights in to guerrilla strategy and the effects of foreign occupation. Painstakingly restored in 4k by the multi-awarded L'Immagine Ritrovata - with the participation of the director s son, cinematographer and director Marco Pontecorvo - in collaboration with CultFilms, the 4K preservation of Pontecorvo s unique B&W vision was nominated for the Best Restored Film at the 2016 Venice Film Festival. Battle of Algiers is more topical and burningly relevant today than ever. This new dual format edition is loaded with bonus features.